This was our fourth time at this venue and we were hoping that some of the previous paranormal occurrences would happen again to corroborate those occurrences. Unfortunately, that didn’t happen as expected although we did have an excellent night. My séance circles were held downstairs in one of the rear facing rooms and we were joined by a spirit called Richard, a First World War soldier who was wearing puttees, he was 56 years old. A female spirit called Alice aged in her 40s and a Nanny aged in her 20s were also present. There were also a number of spirit children in the room. This is unusual as I normally do not pick up children due to my dislike of them. The first group experienced lots of movement, pushing, twisting and unusually we all ended up facing outward, when we started all facing inward. We had no idea how this happened. Towards the end of the session we all heard a child’s trumpet sound. The second group also experienced lots of movement, but not to the same extent, this time it was just people being pushed and pulled whilst standing. The third group however experienced lots of movement with everyone being touched, pushed, pulled or swayed as well as being pulled down to the floor by their arms and hands. This was an excellent ghost hunt with lots of paranormal activity experienced by all those present. All guests participated in the séance sessions with me in the Counterscarp Galleries. The first group experienced lots of movement and everyone’s hands touched the floor several times as well as being twisted. The spirit that was responsible for this was a First World War soldier that I have met before at the fort called Captain Daniel Bedford. At the end of the session we all heard music that sounded like it was coming from within the counterscarp gallery. The second group also experienced gentle arm movement, pushing and gentle swaying sensations. The third group had lots of activity which started with gentle pushing and pulling back and swaying. Jazz (guest) was reluctant to feel spirit after other guests touched his chest with their hands so I moved beside them and Jazz and Gaya were moved gently and twirled. Toward the end of the session Jazz got touched on the back, like a poke. This was an excellent ghost hunt with everyone having a paranormal experience. This was the first time we had visited the True Crime Museum, and we were all looking forward to the night very much. Just looking around the museum and seeing the artefacts and stories was disturbing but fascinating. Who would we talk to tonight? With only a small amount of guests we kept the group together and each team member took turns to control a session. Mine was the Human Pendulum, and we had three male spirits that came through, all knowing each other. The first spirit was a soldier in his 30’s, had lived in Hastings and was married. He had passed in the First World War, 1915, in water, with an explosion to his face. Enemy fire from the Germans at the French Maginot Line. It was very wet and muddy. His two friends who were with him, who were medics, couldn’t save him. Donna (guest) was in the circle at the time and she could visualise him with blond curly hair and blue eyes. I asked all to clear their minds, and I asked spirit to tell us his name. Donna had the name James, which was correct. Myself and Kerry (team) had the names Bob and Eric, these were the names of his two friends. The next spirit was his friend Eric, and confirmed he was with James when he died, he was a medic, and had passed in 1916. Bob then came through, and again he was a medic and had died in 1916. Bob was married with two children. His family were farmers, arable farming, in Hastings, but there were houses on his land now. All three were childhood friends from Hastings. All three were together when James had died but couldn’t save him. When talking to James Kerry had felt a feeling on her face and nose, James confirmed there was an explosion on his face when he died. This was our first ghost hunt at this museum, although I had visited earlier in the year to see if it was suitable and spirit energies present. I had envisaged that I would work in a particular area come the ghost hunt but as it turned out I didn’t use the area I thought I would. To start the event we held a tech and equipment session in one of the larger upstairs rooms, this was also one of the cooler rooms as it was June and quite warm outside. We also gave out traditional ghost hunting equipment; dowsing rods and pendulums alongside more modern equipment like KII EMF readers and Ghost Meter Pro’s which are essentially communication devices. The first group session I used what used to be a drawing room in the old Oaklands House and we were joined by two spirit energies, one a small boy about 7 or 8 years old who was called Scott, the other a Doctor from the early 1900’s called Timothy or Tim. Various people in the group were moved by Tim, however he didn’t touch two people for some reason, but everyone else had either their hands lifted and moved or they were rocked or pushed, sometimes quite quickly to the floor. The second group session I started in the same room and after some minor spirit activity where some people in the group had their arms moved or felt spirit touch them I moved to another room to see if the spirits would do anything different. The room I chose several people felt unsteady on their feet and although I wasn’t being affected directly, every time I moved closer to those who were, I felt sick and dizzy. 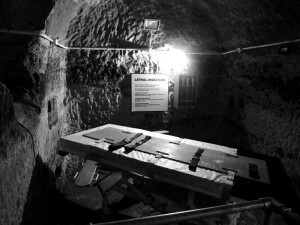 Two guests in particular felt themselves being forced towards the floor and once on the floor they were unable to get up. They both reported that they felt pinned down. The third group session I started in the main hall, which incidentally is where I thought I would hold my sessions. The spirit that was around us and affecting everyone was a First World War Sergeant who didn’t really tell me his name, just what I assume was a nickname “Tinney”. He was about 6 foot in height, of slim build and had a typical moustache for the time period. He had been shot in the neck but survived. Asking the spirit to move people resulted in many people being pushed, swayed, twisted and moved all around the room and onto the floor. Many occasions the whole group except one person ended up on the floor, sometimes pushed against the walls, sometimes against people, sometimes on their own (relative to the rest of the group). This was a fun session for both the spirit and guests. Rowfant House is one of the secret gems of the countryside, once owned by a very important and influential family who let Winston Churchill stay during the Second World War and is now home to the Latvian Lutheran Church in England. We had no idea what to expect at this ghost hunt as it was the first ghost hunt undertaken at this venue by anyone. We were not disappointed as activity seemed to happen all night long. All the guests were split into three smaller groups which were headed by different members of the GHE team, I had commandeered a bedroom for my sessions as I felt that something terrible happened in this room. It was also the same room that Churchill used when he stayed at Rowfant House. There were two spirit energies that were present all night with me, the first was Captain Terry McLoughlan, aged in his early 30s and was in what is now the RAF and from the First World War era. Terry was of slim build, about 5’10” in height with light brown hair. He was dressed in a very smart uniform. The second was Annabelle, aged in her early 20s with long brown hair wearing a dirty white dress. She suffered from Eczema and when I first noticed her she had a smell of ammonia about or associated with her. The first group to enter this room felt some unusual cold spots and high levels of KII EMF energy along with some long conversations on our communication devices. Many guests smelt carbolic soap throughout the session. During the séance some guests felt arm movement along with some pushing and swaying which was Terry making himself known. After the séance some guests sitting down felt tingling sensations and very heavy heads, others who were all sitting on the sofa felt very serene and relaxed. The person who was sitting in a chair favoured by Winston Churchill felt very depressed (they did not know at that time that it was Churchill’s chair, this I told them after the session had finished). Many of the guests took photos during the session, some of which contained light anomalies or orbs. The second group, in this room smelt soap once again, although two guests thought that it may have been bleach. During the session there were many strange flashes of light seen outside the windows, had it been thundery then I would have said it was lightening, but it wasn’t. Just after one of these flashes some guests thought they saw a face outside the window. It wasn’t a real person because we were on the first floor! However it remains unexplained what they saw. Andy (guest) whilst sitting in a chair felt very important and I didn’t tell him until after the session finished that this was Churchill’s chair. Others who were sitting in the same seats as the first group felt the complete opposite (of the first group) many feeling uncomfortable and edgy. I felt very dizzy and I was sitting on the bed. The third group had the most physical activity and during the séance, which included lots of arm movement, pushing and pulling the guests backwards and twisting arms behind people’s backs. One guest felt sick and had to leave the room. Many times our hands were moved in a circular motion, sometimes in mid-air and sometimes close to the floor, why remains a mystery. Jason (guest) and I were pulled by our arms to the floor. A third spirit energy came into the room towards the end of the session, he was a mischievous male energy who wanted to touch certain people in the group and many guests felt a cob web sensation around their face. Once again some of us who were facing the window saw strange flashes of light outside, although we still have no explanation as to what could have caused this. After the séance had finished I conducted an EVP (Electronic Voice Phenomena a.k.a. ghost voice experiment. Many of the guests’ questions had some sort of response although we couldn’t work out what they all said. For the very first ghost hunt at Rowfant house we were amazed at the level of activity that the guests encountered throughout the night. 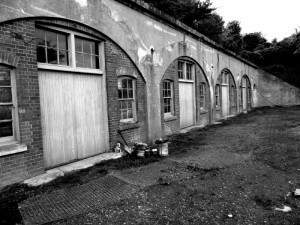 Every time we return to Fort Borstal the event gets more interesting, more stuff happens to more people, this time around was no different, although this time the activity that happened wasn’t pleasant. I usually hold my sessions in the counterscarp galleries because just getting there is a physical challenge in itself, 232 steps to be precise, but to me it is a really interesting area where paranormal occurrences are normal. The first session there was a male spirit present called Capt Daniel Bedford, he is a spirit who I have often seen in the counterscarp galleries. He is a tall slim built First World War soldier who carries a crop and undoubtedly would have used this as part of his command style. The resulting séance started with people feeling a tingling sensation in their hands and arms, which progressed to their arms actually moving (which is what I asked for amongst other phenomena). After the majority of people felt their arms move, Daniel became braver with his actions and many people saw their own hands being rubbed across the chins of other guests and themselves. These actions also increased along with the phenomena of being pushed and pulled backwards which to some guests was unnerving as they had no idea when this would affect them. Many times various different people’s arms would fly across to hit Ross (guest) in the face, but fortunately every time he was able to duck and dive out of the way as I could feel or know when a lunge was coming. Cold spots were also felt by the guests, which in this particular fort is unusual because all the exterior holes are sealed and the weather outside has no impact on the conditions felt inside. There was also another male spirit energy present, his name was David and he was a convict, he approached us with caution and did not interact although he did speak to me briefly. He was a Cockney and of a stocky build. The second session that I undertook in the counterscarp galleries more or less started how the first finished. The same spirit energies were present and the séance started with arm movements almost immediately interspersed with pushing and pulling sensations, twisting and turning people into odd positions and dragging them downwards on to the floor. Once again many people felt cold spots and breezes which are unusual. Many people arms were moved in such a way that it looked like they were trying to be strangled by other people’s arms. Other guests were moved and pushed towards the wall. Several attempts were made to lunge at people, although once again I could feel it coming 1 or 2 seconds before the action took place and could warn whichever guest the action was intended for. However there was a moment when my attention was gravitated towards another young male spirit who should not have been there and needed help. He was a young (17 years old) male who passed away during a relatively recent (1997) motorcycle crash on a road not far from the Fort and whilst I was engaged with him and trying to help him a lunge of people’s arms hit one of my team members in the face (Kym) and then the second lunge which was more like a punch hit a guest in the shoulder. During the séance Matt (guest) saw light orbs and another guest felt very aggressive, as I have met this guest on several of our ghost hunts I knew that this was not in his nature and I called an immediate end to the séance. The guest that felt aggressive asked me to come over to him as he “wasn’t feeling right” and I gave him some emergency healing to take away the aggression. As everyone was recovering from the active séance we could all hear a strange mumbling noise which included the sound of whistles and whispering. The whispering sound seem to come from further along the tunnel in the direction of the other counterscarp gallery. When I asked whether the guests would like to walk down to those galleries some guests didn’t want to venture down there on their own! So we all went down to that area, although nothing was seen or heard once we arrived. After these sessions the guests were allowed to wander freely, some but not many wanted to go back to the counterscarps and I joined a group in the Officer’s Mess area. 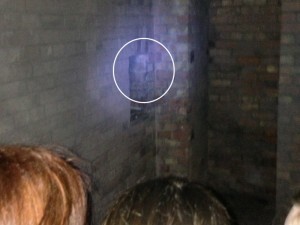 Various spirits were encountered in this area, the majority looked to be female Nurses or Second World War clerks. Carl (GHE team member) who was sitting in a chair noticed that the chair was swaying and moving which he found odd although his instruments detected high levels of EMF and huge temperature fluctuations which coincided with the chair moving. This was a very enjoyable ghost hunt where the majority of guests had a very unusual night and many paranormal occurrences. 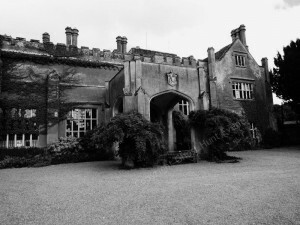 This was one of our more memorable ghost hunts at this location and everybody thoroughly enjoyed the experience, even those who were pushed to the floor or lunged at. Several EVP’s (Electronic voice phenomena a.k.a. ghost voice) experiments were undertaken by the team but we have not had any confirmation from our experts of actual ghost voices. Once again the team were just as excited as the guests to return to Fort Borstal for the first of our visits to this magnificent fort in March, it was also the first of four Forts for the month of March. This was our third visit this year and one thing that we have started to notice is that activity here happens to people in small groups of four or five people, any more than that and the activity is lessened. The first group we started in the left hand side of the galleries and almost immediately there were high levels of KII activity as well as some electronic communication. Various spirits were present including a couple of sergeants from The Second World War, a lady and a child. Some guests felt touches on their legs and there was a strange breeze in the tunnels which was very unusual because there are no holes or gaps to the outside and once the door is closed (which it was) there should be no airflow within the complex. Many guests and I also heard strange mumbling sounds and many guests were extremely jumpy in the dark, so much so that they didn’t want to do a séance, as that would have meant standing in the dark. The second group to this area we started a séance almost immediately as I could see that the spirit were eager to show the guests what they could do. The spirit was called Captain Daniel, he looked to be a First World War soldier but he didn’t actually tell me. Initially this started with lots of arm movement which then slowly progressed onto people hands being pushed into other people and poking them in the stomach. From this point as the spirit got more used to moving people he started to push people forwards and pull them backwards. Darren (guest) who was standing to my left felt that he was being held in place, as if someone was stood behind him, stopping him from moving. Darren felt this as well and kept looking behind him during the séance. After this experiment I let the guests wander throughout all the galleries with some of our electronic equipment. High levels of EMF energy (Electromagnetic Fields) were picked up on our KII meters as well as some levels of electronic communication. The third group to the counterscarp galleries had the most activity, as we went straight into a séance and the same spirit (Captain Daniel) was present and eager to demonstrate his presence to the guests. Arm movement started immediately and progressed around the circle until just about everyone had their arms moved and then Daniel moved onto pushing guests forwards and pulling them back as well as swaying them from side to side. Some guests were pulled by their hands to the ground. When asking for certain people to be moved (pushed or pulled) this usually happened on command until the majority of guests had been manipulated in some way. Once again the guests were free to wander throughout the rest of galleries. The rest of the night the guests were allowed to wander freely around the Fort to visit areas or activities they enjoyed the first time around with our equipment and to hold their own ghost hunt or do a solo vigil. Once again the guests thoroughly enjoyed their ghost hunt with us and many had some very unusual paranormal experiences.